Anouska would tell her friends to close their eyes really tightly. Then they would imagine looking up into the sky, where a pathway would appear. This pathway would take them to faraway lands. 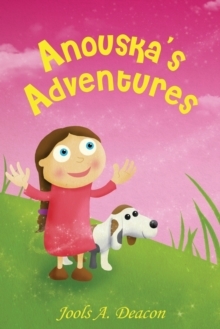 Meet Anouska, a little girl with a big imagination, so big that she can go on magical adventures, and take all her friends with her! 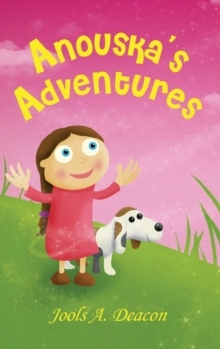 With her mummy and daddy, her dog and pig, and the family of mice who live under the apple tree, Anouska goes on magical adventures to faraway lands, where she meets princesses, princes, fire breathing dragons, and silver sequined fish.